You'll be £4.99 closer to your next £10.00 credit when you purchase Belsen and its Liberation. What's this? Accompanied by rare and unpublished photos with in-depth captions the book presents a unique visual account of one of the Nazi's most infamous concentration camps. The imagery shows the SS's murderous activities inside Belsen, and also reveal another disturbing side to them relaxing in their barracks or visiting their families and loved ones. The book is an absorbing insight into how the SS played a key part in murdering, torturing and starving to death tens of thousands of inmates. During the latter part of the war as many as 500 a day were perishing from the long-term effects of starvation as well as the resultant diseases. There is a wealth of information on how the camp was run and all aspects of life inside the camp for the inmates are covered. The final episode of Belsen is witnessed by British soldiers of the Second Army, who were completely unprepared for what they encountered when they arrived at the gates of the camp. Inside the camp they found some 10,000 unburied dead in addition to the mass graves already containing 40,000 more corpses. 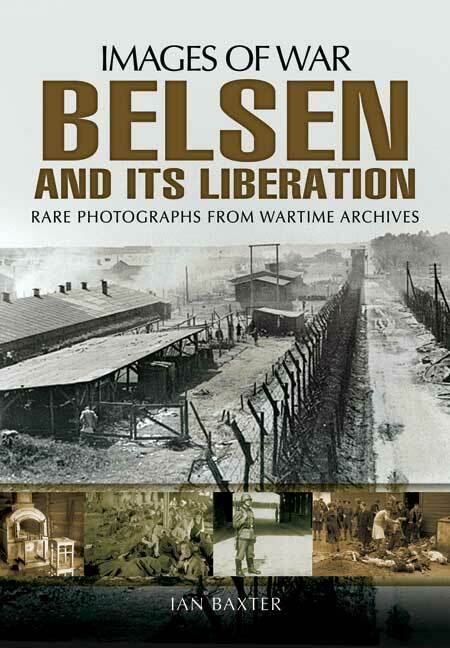 This latest Images of War book captures the shocking story of those that ran Belsen, those that perished, and the troops that liberated the living from their hell. This provides a shocking insight into the brutal regime that the Belsen camp was part of. The story is told with a great many rare and previously unpublished images. This is a terrible story that should be told and told again as graphically as possible, that it may not happen again. Not an easy read, but I believe a necessary one to gain an holistic understanding of the Second World War. Hard-hitting and doesn't hold back. Ian Baxter has compiled a horrific but necessary record of Belsen and its liberation., and he has let many of the pictures speak for themselves. This is the sort of book that is necessary today to remind people what happened and remind us how easily it could happen again. This is a testament to those murdered and the reasons why we should never forget.